Nail Art :: Love or Hate? Nail Art, it seems to be all the new rage. You either love it or hate it. From simply chevron patterns to more complex characters. For me? I am definitely a lover of nail art! While that may be hard to believe as I am usually sporting a single color polish on my finger nails, I have to admit decorative nails are something I covet. Talon nails to the extensive blinged out nails. I think they are all amazing! I always find myself searching the DIYs on all these fun nails but find I don't seem to have the patience to go to crazy just yet. 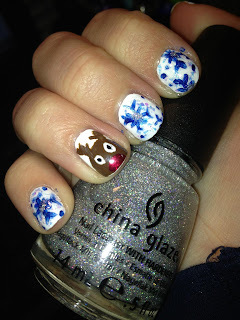 Over Christmas I tried my hand at some nail art with my reindeer nails that I was pretty proud of! 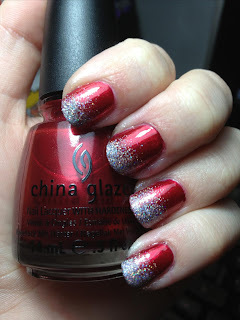 Or the glitter ombre I was obsessed with doing with China Glaze's Holiday glitters! One day I hope to be able to do some of the crazy designs I see. 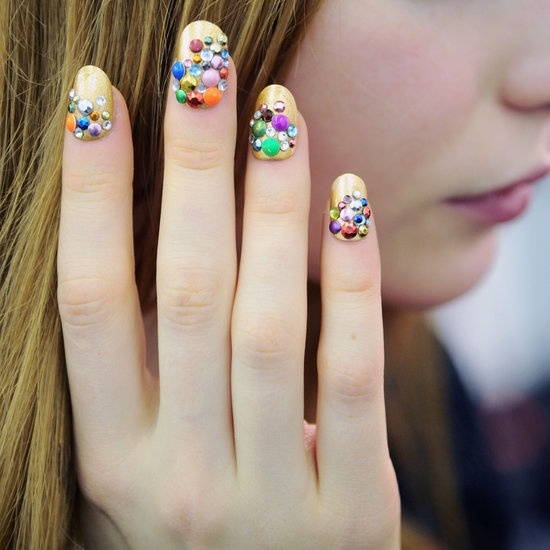 Even New York Fashion Week join in on the nail craze! What do you think of the current crazy nail crazy? Love or Hate? Here are some blogs to check out with fun Nail Art! Do you have any fun & crazy nail blogs you follow? I'd love to check them out! Please share them below.